Ubuntu is the best Linux desktop distribution, which took the number one spot in our Top 5 Best Linux OS Distributions. Ubuntu 9.10 Karmic Koala stable version is released. You can download it online or order a free CD as explained below. What is new in Ubuntu 9.10? The download page at Ubuntu offers lot of mirror sites that are closer to you. 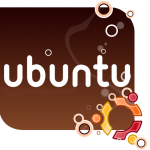 You can also download Ubuntu installer for Windows from here. You can order free Ubuntu CD. Please note that the delivery may take anytime between 6 to 10 weeks. If you prefer to have Ubuntu on a DVD instead of CD, you can purchase DVD for a small fee. Thanks for the info. Downloading the new version for testing.